Ann Arbor has never been a typical college town, typical industrial town, or typical agricultural center. The city was founded in 1824 by John Allen and Elisha Rumsey. Settlers from the Eastern U.S. of British origin were soon followed by Germans, who brought with them many practical skills. With the opening of the University of Michigan campus in 1841, still more people came from across the country to teach and learn. 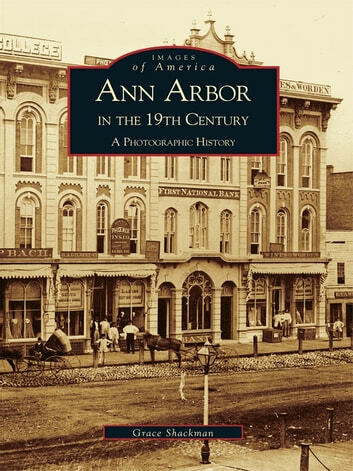 Ann Arbor in the 19th Century: A Photographic History, details the growth of the city, when residents built houses and businesses, organized a government, and established churches, schools, a university, and newspapers, in over 190 photographs. Early residents would recognize the photograph of Okemos, nephew of Pontiac, Chief of the Ottawa, who made regular visits to Ann Arbor, before the Native Americans were banished to Kansas by the federal government. Another fascinating photo shows Henry Otto's Band, whose family was responsible for much of the music at official events. 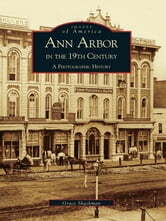 However, much of 19th century Ann Arbor would still be recognizable to today's residents.